With over 30 years of being a licensed Realtor/Broker, Kathy has been a leasing consultant, commercial property manager, residential property manager and sales associate. 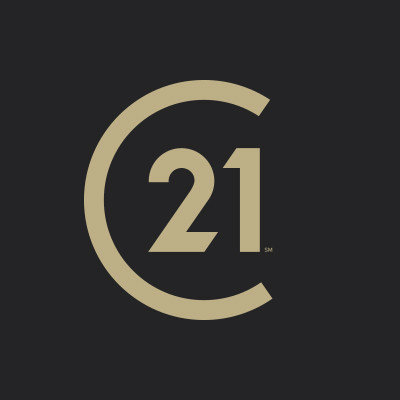 Currently, as Broker/Owner of CENTURY 21 East Lake, the office manages over 600 residential condos, homes and villas. With a sales staff of over 30 professional associates, CENTURY 21 East Lake has been consistantly rated in the top 15 offices for sales in the Pinellas Realtor Organization. Kathy's education includes business and marketing at the University of Minnesota, Institute of Real Estate Management and many educational programs to keep current on every aspect of Real Estate. Kathy holds the CPM® designation (Certified Property Manager), along with the VIP designation (CENTURY 21 Relocation Specialist). Married for over 50 years, Kathy's husband, Steve, is her partner in life and in business. Born and raised in Minnesota, Steve and Kathy , with their 2 sons moved to Florida in 1982. Steve and Kathy are the very proud grandparents of six grandchildren. Hello! Born in Kentucky, but I’m definitely a Florida gal. I grew up right here local, and love it! I have been in sales and retail most of my life, but recently wanted a change. I love talking to people and house hunting so, real estate was calling me. I live in the Trinity area and have 2 small children. When I’m not showing homes, you can find me out and about with my family on our boat, or at a local event. I would love to help you find your dream home. I spent the first thirty years of my life living in northern New England. I finally had enough of the snow and decided to move to the Orlando area to pursue a career in the golf industry. I fell in love with the Gulf coast on a weekend trip and have lived here ever since. I have worked with the public my entire career and I love meeting and helping new people. I will promptly return your calls, texts, and emails. I’ve experienced the new homeowner process myself and I know it can seem overwhelming. Let me make it easy for you. I’ll do everything I can to make sure you get exactly what you want. I can’t wait to hear from you. Nancy Verzi "VERZI FROM JERSEY"
MISSION STATEMENT: Satisfied clients are my #1 Priority! My career is dedicated to Customer Service Excellence with the personal touch. Expert use of technology, and providing informative real estate services to Buyers and Sellers are the hallmarks of my approach to fulfilling your real estate needs. PERSONAL DATA: Born in Trenton, New Jersey and raised across he Delaware River in Bucks County, Pennsylvania. B.A. in Psychology, Minor in Business Admininstration from Ryder College, New Jersey. Single Mother with two beautiful daughters, Valerie & Savannah. PROFESSIONAL EXPERIENCE: Have held Florida Real Estate License since 1976. Over 15 years experience as a Realtor, both in Residential & Commercial. Specializing in Retirement/Golf/Tennis Communities. Relocaters and first-time homebuyers are personal favorites to work with; I make an excellent Tour Guide! CAM License acquired in 1992. Worked as Residential Property Manager for Condo Associations. Appraiser Associate License acquired in 1996.